The trouble with not trafficking in rumors is that when you get them right but you don't have official confirmation, you can often miss the boat. For instance, listeners of The Strip heard me mention as far back as early in the summer that Harrah's was going to finish its Caesars name switcheroo, long before anyone else in the press had it. But I didn't commit it to blog or print because I never could get the clear confirmation from sources over there. Then it happened. Well, it happened again this week. On Tuesday, I learned that Michael Weaver, Caesars Entertainment's vice president for marketing, is leaving. Then I heard he would be following his old boss, Marilyn Winn Spiegel, who in November became Wynn Las Vegas president and promptly persuaded Steve Wynn to shut down the beloved Alex. Friess: Hey...Are you leaving Wynn? Dunne: Where did that come from? Good lordy!!! Dunne: I hear he is a great guy! Do you know him? Friess: Yes. He's a very good egg. Interesting you haven't actually answered either question. This is really a toughie for me. Weaver and Dunne are two of the most consummate professionals I've dealt with as a Vegas journalist. After my initial surprise at Dunne's announcement, it dawned on me maybe she didn't know this earlier in the week. 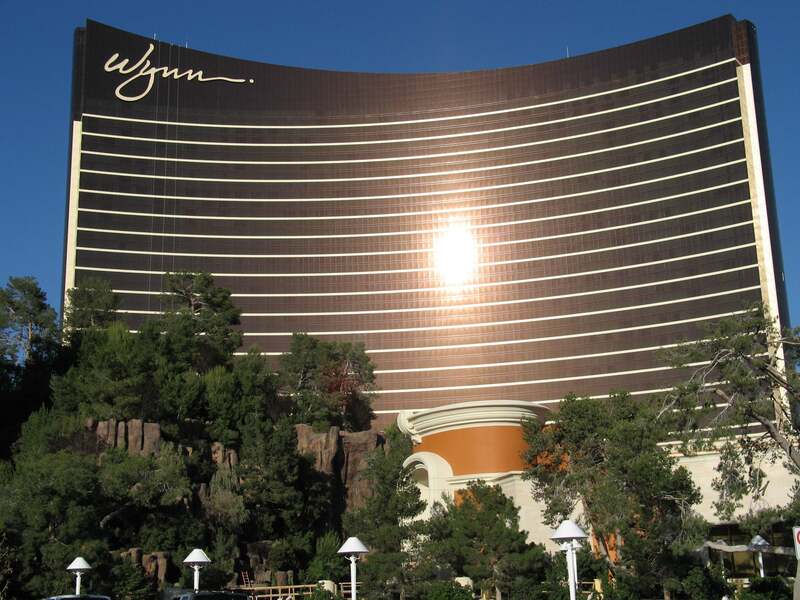 Of course, there's no official confirmation that Weaver's going to Wynn, but it does seem likely. Also today we learned that Jacqueline Peterson, a top corporate spokeswoman for Caesars, also is leaving the company. So perhaps Jacqueline is taking Dunne's gig? Time will tell. Wynn's publicist in charge of food and beverage, Katie Conway, also left last month. She followed her husband, a chef who had gotten a big job in L.A. So there are openings. This all may seem like inside baseball, except that it is interesting that there's this shift of executives from Caesars Entertainment to Wynn and what that could mean for how the company is actually managed on a day-to-day basis locally. Moving from the Pascal/Poster/Breitling/Dunne world to a Winn/Weaver world is a distinctive change. Weaver's biggest contribution to Caesars Entertainment was as the innovator who went aggressively after such niche markets as gays and Hispanics. I'm not sure Wynncore needs much help with the gays. The big question is, does all of this imply Steve Wynn is emotionally detaching from Wynncore Vegas to the point that he just wants very highly skilled people who will maximize profits? If so, it's fair to ask at what cost to the property and its image this may come. While I'm on the media kick for this Friday, I ought to take note that Michael Hiesiger, the longtime business editor of the Review-Journal, was let go yesterday. No immediate replacement has been named, but it's interesting because this is the first big staffing change under the new regime of publisher Bob Brown and new editor Mike Hengel. It's also surprising because if I had to pick a department in need of an overhaul at the R-J, the business section isn't one that would instantly spring to mind. I'd make a beeline, as loyal readers know, to the online division, which is an inane operation run by clueless people as frequently noted here, and then to a features section desperate for new life and purpose. The business coverage is fine and often exemplary, as is the local news division. The only way these sections could be made substantially better would be to hire more reporters, but the editors of each do pretty well with the small set of overworked scribes they're allotted. One theory: Has the new publisher, formerly the advertising director, been getting earfuls from advertisers about how they're covered? That might explain why Hiesiger's the first head to roll. Other department heads are understandably nervous, but I just can't make a whole lot of sense of why Brown and Hengel would take aim at this area first if they're taking a full inventory of their strengths and weaknesses. Circulation is up, not 8,000. You'll have to wait for the March 11 audit report from ABC. Honestly, any circulation increase is impressive in these tough times for print media. I am, indeed, looking forward to those new numbers. I didnt know Cesars went after the gay market. I always though Paris Las Vegas was the hotel that did the most to go after gay clients. Ive seen Wynn adds in gay publications. I think two mistakes that Wynn has made is closing Alex and closing the Art Gallery. It a healthy thing raising peoples tastes. On the subject of Media News, will you be commenting about Las Vegas Weekly going out of business soon, or do you want to avoid biting the hand that feeds you? Well I've not heard anything of the weekly, but I'll ask. I bite the hands that feed me all the time, and I don't hide behind anonymity to do it, anon. Jeff... By caesars, I mean the company. Paris is the resort weaver has focused on gay marketing for, not caesars palace, although there's some of the gay advertising going toward the Caesars spa and The forum shops, not to mention Celine/Bette/Cher/Elton. oh right...i forgot caesars owns Paris and the Rio. Jenn Dunne was the best, grace under pressure, always with a smile and a hearty laugh. I will miss her dearly and wish her nothing but the best. just what is it that you would do so differently if you ran the online dept at the r-j?